My enemy within at the moment is the pull of numbing activities (computer games, for example) that prevent me from participating in those things that nourish me: writing, friends, and yoga among them. May I set one foot in front of another to travel the wisdom trail, the spiral of learning and growth where there is no escaping from myself, where I come ever closer to the truth at my core. May you find your truths on the wisdom trail as well. And he says: As May Sarton reminds us, the pilgrimage toward true self will take ‘time, many years and places.’ The world needs people with the patience and the passion to make that pilgrimage not only for their own sake but also as a social and political act. The world still waits for the truth that will set us free–my truth, your truth, our truth–the truth that was seeded in the earth when each of us arrived here formed in the image of God. Cultivating that truth, I believe, is the authentic vocation of every human being. This small volume of essays from Palmer leads us through his choices about vocation, his depression and dark periods, and his ultimate realization that he is a teacher. He believes our shared vocation, leadership in the world of action, is an outgrowth of our inner journeys. We should support one another’s inner work by creating “communities of solitudes,” not abandoning or trying to fix each other. More ideas from Parker J. Palmer here. Amen, Ms. Mansfield! I wish I had a nickel for every time I have wallowed in regret. It is tempting to think one’s sins or shortcomings are somehow more numerous or egregious than others’, that we are special in some way. Some of mine are sins of omission, some commission, but in the end, we all have them. While confession may be good for the soul, there are some I still can’t confess to even my closest friends, and I think the better route is to forgive myself and let go of the past, to stop wasting energy on embarrassment and regret. After all, it was I who in the spring of 2004 wrote the lines, “I unfold my failures like old clothes/hug them to me, then let go,/watch them sail away on the wind.” I find that writing is so often prophetic, that it gets at truths long before I can understand them fully. Which is one reason this blog is so important to me: Even if I am not living my professions here, they are pointing in the direction I want to go, helping establish and explore my intentions. 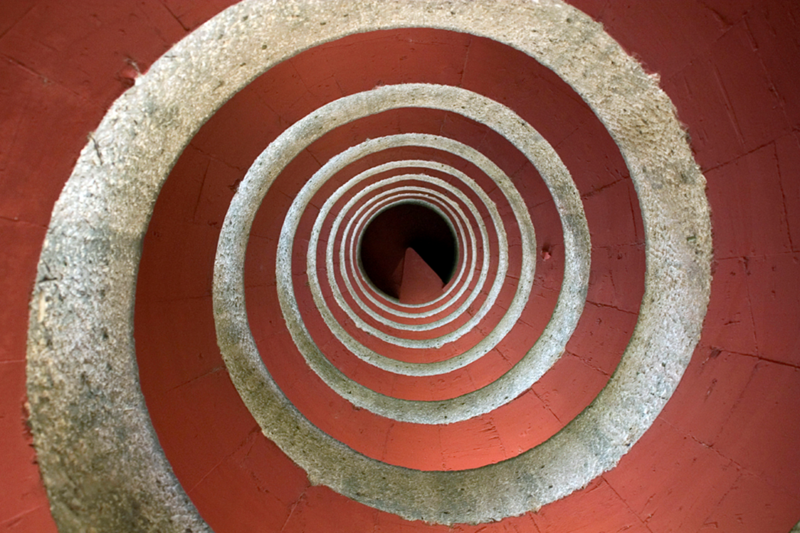 For example, way back in a January post I wrote, “More and more of being here now, and less and less of dwelling on past mistakes or future possibilities, is liberating and exhilirating.” Life is a spiral. Have you found freedom from regret? What helps you to forgive yourself for your transgressions? My mother used to tell a story she found amusing. It was about coming to fetch me from school in the first grade. I was standing in front of the class when she arrived, pretending not to know my colors. I don’t remember this event, but this is one of the saddest stories I’ve ever heard. For I had been happily reading at least since age 5, had known my colors for far longer, and was academically way ahead of most of my first-grade class when I began school. But I had been admonished so strongly not to “show off,” to be like others so I would be liked, that I had hidden my abilities in the quest for acceptance. It was many years before I was aware of my conditioning, and many more before I could move beyond it. Even still, I find myself thinking, “How will this look to others?” when I decide on a course of action. This is actually a skill that has served me well in career and political situations, but I have had to come to an understanding about the limits on its value. And I have suffered from applying it in situations where it is not needed. I think this explains why authenticity is so very important to me now. I cannot bear to pretend any longer that I am something I am not. I actually think age is helpful in this regard, as we who are in public service approach retirement and can be whoever we are. How do you deal with this dilemma, in a political world?